Area under cane 600 hectares under crop, 150 hectares fallow. Will be 800 hectares, in total, by next year. 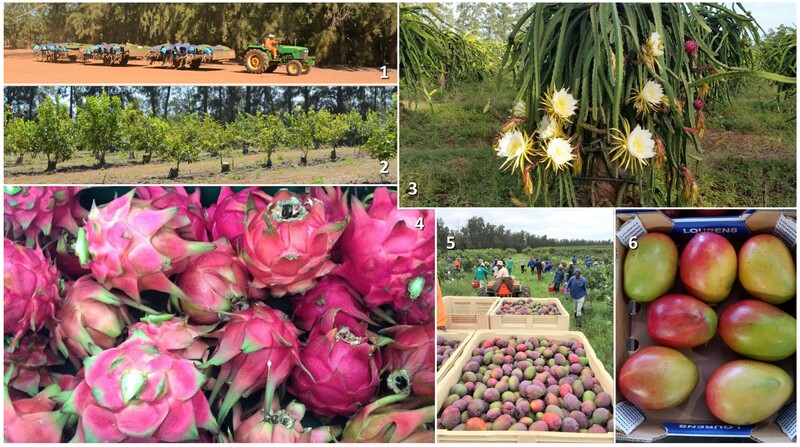 Other crops Bananas, mangoes, litchis, dragon fruit (cactus), lemons – Mpumalanga. Apples, pears, soft citrus, figs and wine grapes – Western Cape. Lourens Agri was farming on a new level for me. Hailing from KZN, where the farms are comparatively small and the operations, fairly concentrated, I was a little overwhelmed when I arrived at this Mpumalanga giant. Jan Lourens was there to greet me, along with his key men: Jannes van der Merwe and Gerhard Visagie. 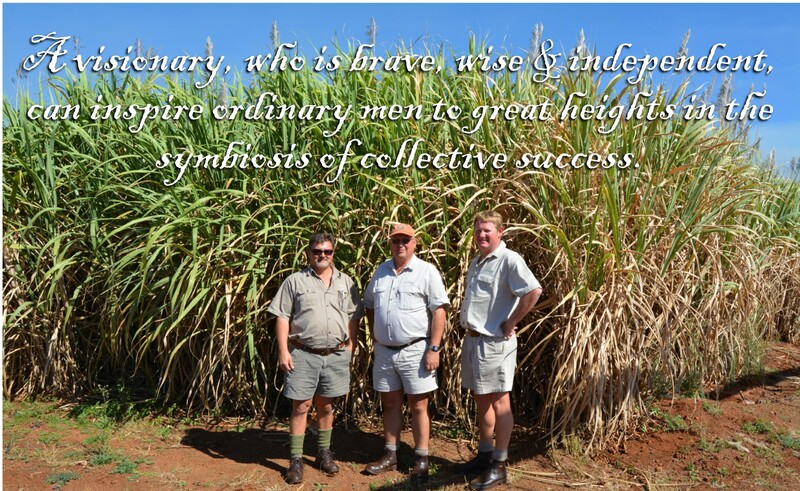 We settled in a board room that would impress many corporates but it didn’t take long to figure out that these three men, despite the scale of operation they manage, are humble, self-depreciating farmers who are grateful for where they find themselves. His grandfather pioneered the way when he began farming here (on the farm Turfbult) in 1957. He was very involved in establishing sugarcane in this area. Now in his 90’s, he still roams the farms, enjoying what his progeny have done with what he started. All the Lourens cousins are still in agriculture and he travels between them. Jan started at the bottom and was trained through the system. He spent four years in England studying at the Royal Agricultural College in Cirencester. He explains that, although European crops are vastly different, the management and agronomic principles remain the same around the world and the time spent abroad was hugely beneficial to his growth. Gerhard has been with this business for 11 years. He’s originally from KZN and moved to the Lowveld about 20 years ago. He has extensive experience with many tropical crops and currently heads up sugarcane and mangoes at Lourens Agri. Jannes is the General Manager of Production and hails from the Free State. He is a thoroughbred farmer, having spent his early years studying agriculture at Kovsies and cutting his ‘farming teeth’ in maize, cattle and beans. When Turfbult still belonged to Jan’s late uncle Leon, Jannes worked on that farm, but moved into corporate, with TSB, when the land claim went through. He has handled advisor and cane supply portfolios in Pongola but moved back into Lourens Agri about 18 months ago. 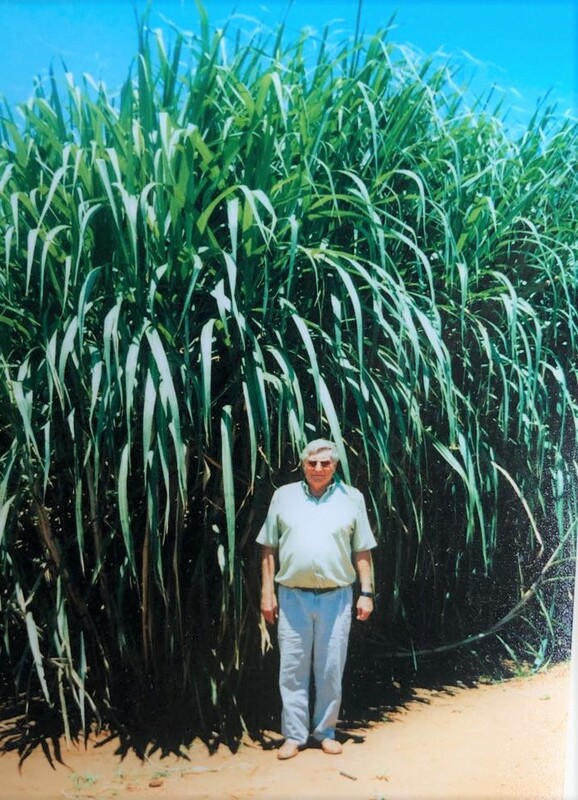 Although bananas are the largest crop at Lourens Agri, sugarcane is second. 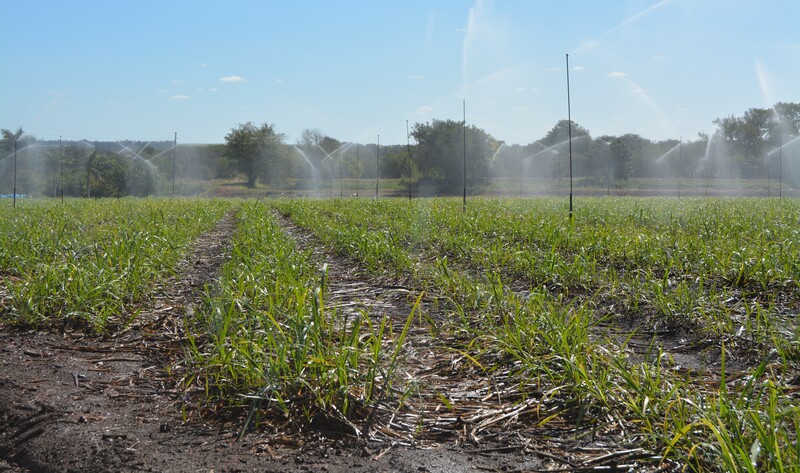 There are 4 main sugarcane farms, three are leased (in 1997 these farms were claimed through the Land Restitution process by prior occupants but are being leased back on a long-term lease agreement) and one is owned. 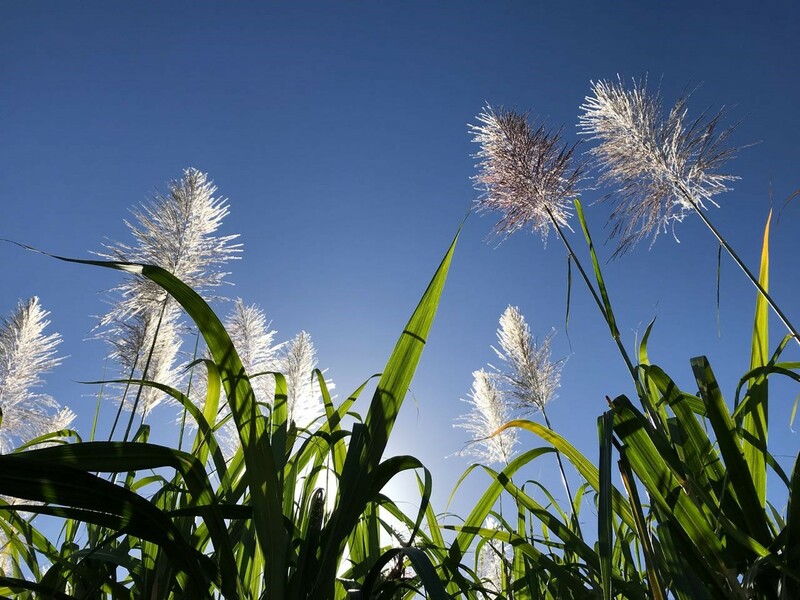 In total, there will be 800 hectares under sugarcane by the end of the year. The severe drought in 2016 means that there is currently an extensive replanting programme underway. 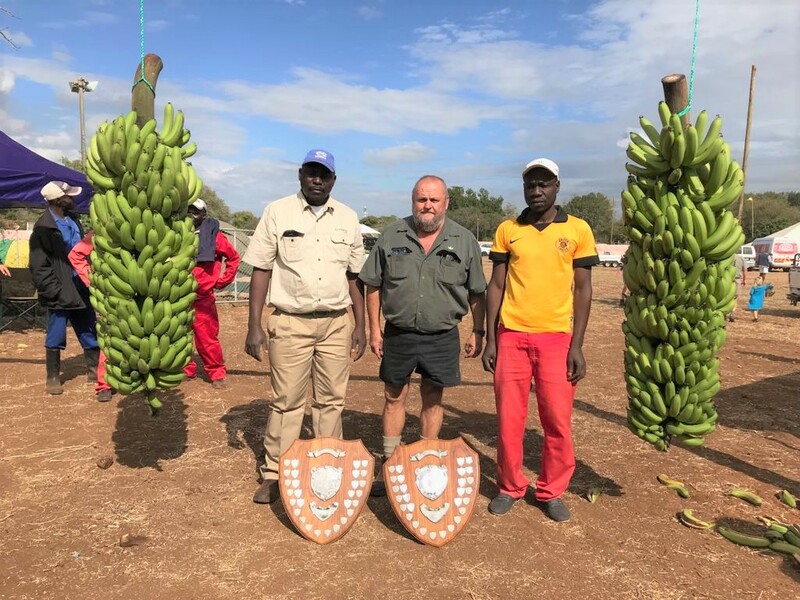 One of the banana teams (healthy competition between the fields is encouraged at Lourens Agri) won a local competition for the largest bunch. The winning one weighed 99.5kgs!! As mentioned, bananas are the main crop, and Lourens Agri is a certified Woolworths supplier through the Lebombo Growers Group. Besides sugarcane, other crops are mangoes, dragon fruit, litchis and lemons. 1. A banana ‘train’: transporting the harvest to the packhouse. 2. Lemons. 3. Dragon fruit in flower. 4. Harvested Dragon fruit. 5. Mango harvesting. 6. Lourens Mangoes off to market. Does anyone else notice that the ‘big M’ is missing? I am so used to hearing that sugar farmers are diversifying into macs that it was intriguing as to why that isn’t the case here. Jan explains that they have investigated it and have decided that it’s not a crop they feel will work for them, right now. Why? “Right now, the cane price is low, and the mac price is high,” explains Jan, “but market forces will swing that around and, in order to justify the change in crop, you’ll need higher mac productivity. With the heat here in Komati, we are not sure that can be delivered consistently. This doesn’t mean to say we think they won’t grow here – everything grows here with enough water – but it’s a quantity and quality game as well.” Interesting. Timing. None of this precious commodity is wasted, with many tasks happening so quickly that they overlap each other. Jan credits Gerhard with this. As soon as the harvesters are out, the teams come in to clean up the fields by collecting all the scraps. Between 3 and 5 tonnes per hectare is reaped in this process. Between trucks, these pickers will start reinstating the irrigation. Fertilisers and herbicides are applied as soon as the fields are ‘clean’. Time is money and wasting it is therefore harmful to the bottom line. Staff training. Productivity is a focal area, the importance of which has been reinforced over generations. Giving an individual responsibility for a task or field inspires them to perform better. As seen with the banana competition, it is healthy to encourage excellence. Lourens’ standards have always been high and the staff have learnt that maintaining them results in distinction they now know and strive for. It is clear, when meandering the farm, that this quality has become an intrinsic value; an uncompromising strength of this proud dynasty. 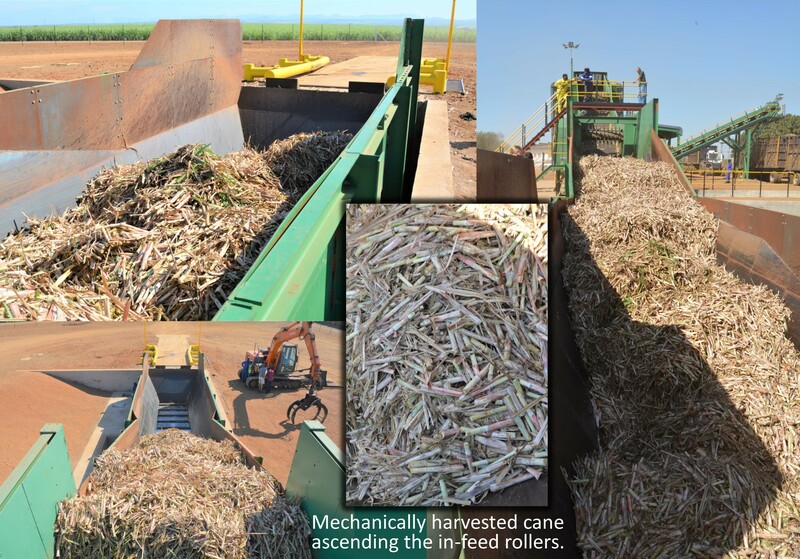 There is actually a third benefit to the plant and that lies in transport efficiencies: the harvester will deposit the harvested and billeted cane into specialised bins in the field. These will then be taken to the plant with trucks. The plant will load trailers that other trucks will haul to the mill. In this way an absent truck does not hold the process up. 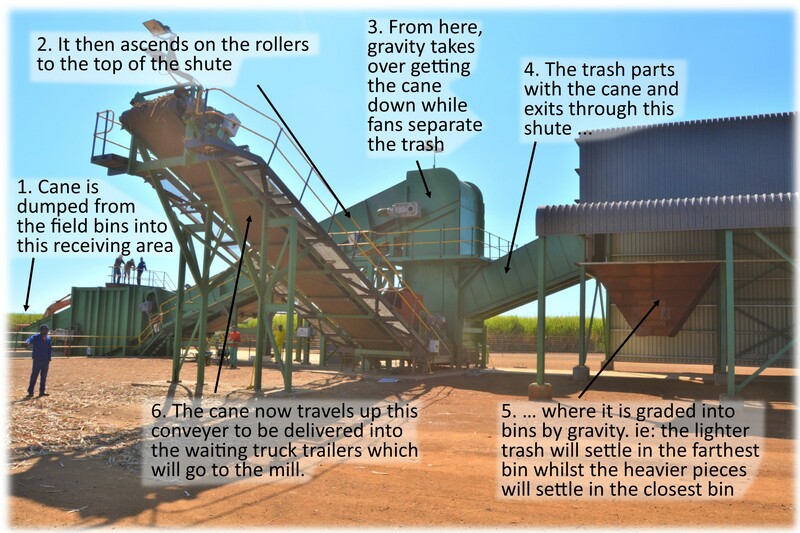 When I visited, the plant was running without the fans blowing so, effectively, they’re just transloading from the field bins into the trucks that haul to the mill. Everything was running smoothly and the fans were going to be effective soon. Lourens Agri does not have a mechanical harvester yet but are busy planting all their fields to accommodate the equipment. As soon as the numbers work, it will happen. In the meantime, here’s a closer look at what planting configuration is necessary. A decision is made to replant whenever production from that field declines. Hence, some fields are 16 years old and still producing handsomely although Gerhard does advise that you should never wait too long to replant a field and, in normal conditions they aim for the standard 10% replant with the poorest producers going first. The 2016 drought meant that 400 hectares of sugarcane and bananas were taken out of production. Bananas require even more water than cane does. 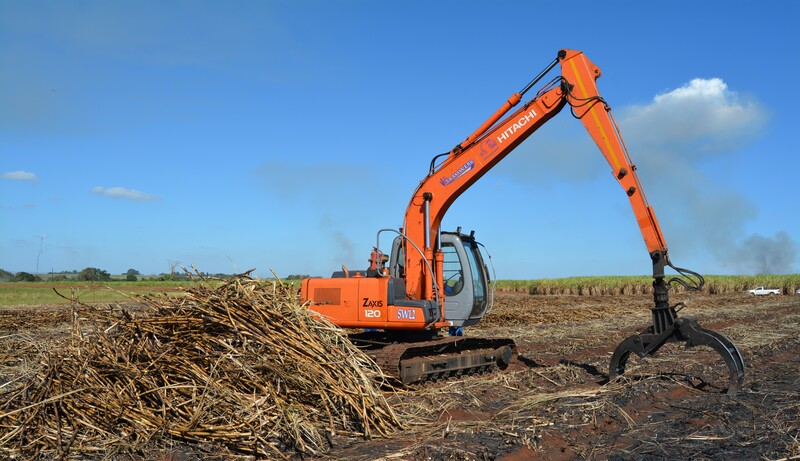 With the drought having broken late last year, the replanting programme of that crop is now complete but there is still extensive planting happening in the sugarcane division. A specialised dripline planter is used to simultaneously put subsurface irrigation pipes in and draw planting furrows. But, before this, there is extensive field preparation that begins with a break crop. 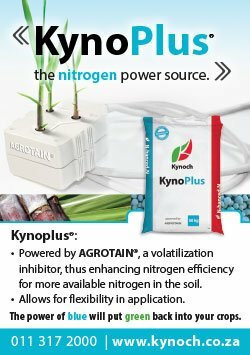 This is something that Lourens Agri only started doing about 6 years ago and they have seen the benefits. 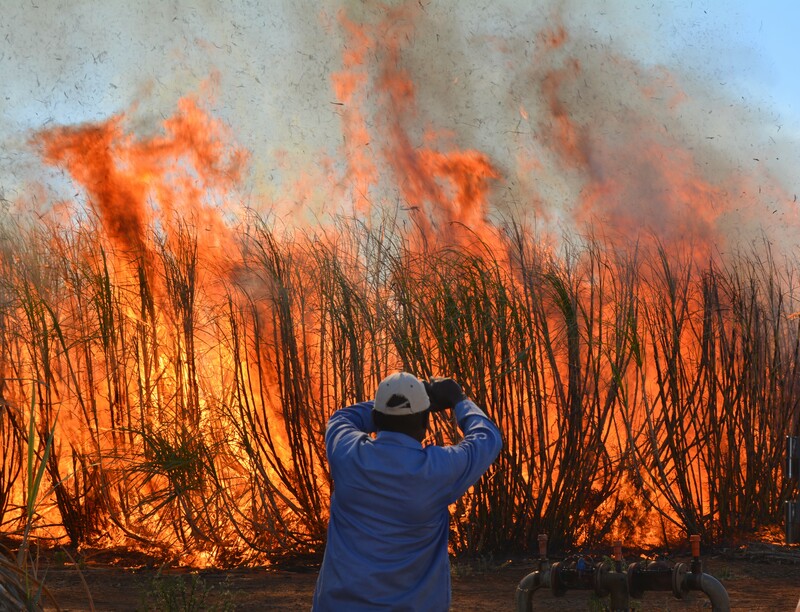 It is now standard practice to break from sugarcane for a year before putting in the next sugar crop. Once the year is up, the land prep begins. It is important that a FINE SEED BED is created. To this end, the land is ploughed and a power harrow is used to break up all the clods. The beds are then prepared with the specialised irrigation trailer and the full stick plant cane laid in the furrows, by hand, along with a liquid fertiliser slurry. The cane is chopped into billets, also by hand, and the closing tool and roller finish the job. No fungicides are used. Mechanical planting might be an option in the future but would probably be handled by contractors as the equipment is very expensive and requires billeted cane (mechanically harvested). After a ratoon crop, fertiliser is applied as quickly as possible. 60:12:60 kgs/hectare of NPK is used. The liquid fertiliser is sprayed on top of the rows. The crop is given time to absorb these nutrients and then Gerhard orders soil samples. The second fertiliser application corrects the difference between what the plants need and what the soil has. 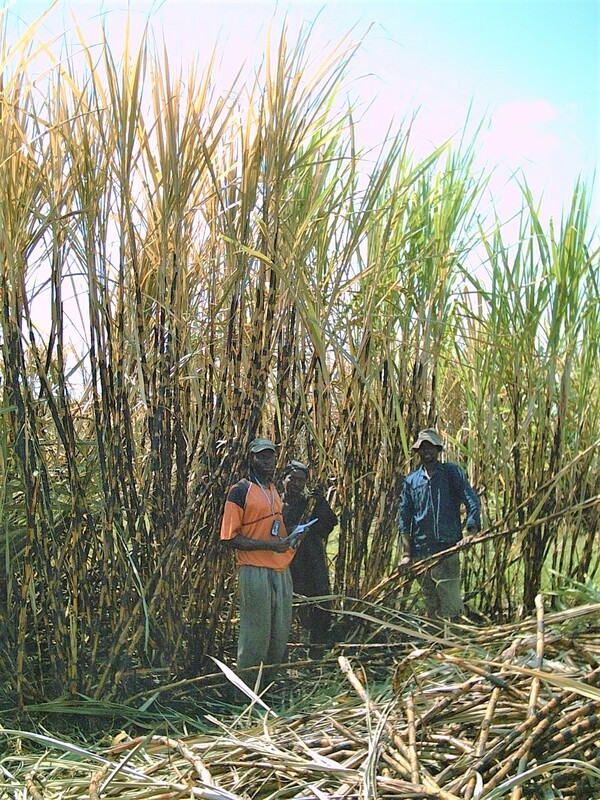 This is done within 6 months of harvest, depending on the season (growth rate of the cane), and is applied using fertigation. Field-specific herbicides are applied to deal with whatever challenges are found in each field. Specialists advise and supply the necessary chemicals. Cognisance must be taken of neighbouring crops’ tolerances for each chemical. The challenge of weeds gets maximum focus come the summer months. With more of the irrigation system changing to sub-surface, they also need to work with the natural rainfall to a greater degree, as some herbicides require water to activate. The beautiful Crocodile and Komati rivers are main suppliers for irrigation in this region. At Lourens Agri, the plan is to replace most existing irrigation systems with subsurface drip because it pairs well with mechanical harvesting and has substantial efficiencies when it comes to water use. It also eliminates the high costs associated with pulling irrigation pipes before burning and replacing them post harvest. Irrigation scheduling is a key focus area. Lourens Agri uses subsoil probes to check moisture levels. They all have an app on their phones that receives information from the probes and equips them to set up irrigation schedules. All this clever technology is supplied by Aquahaus. 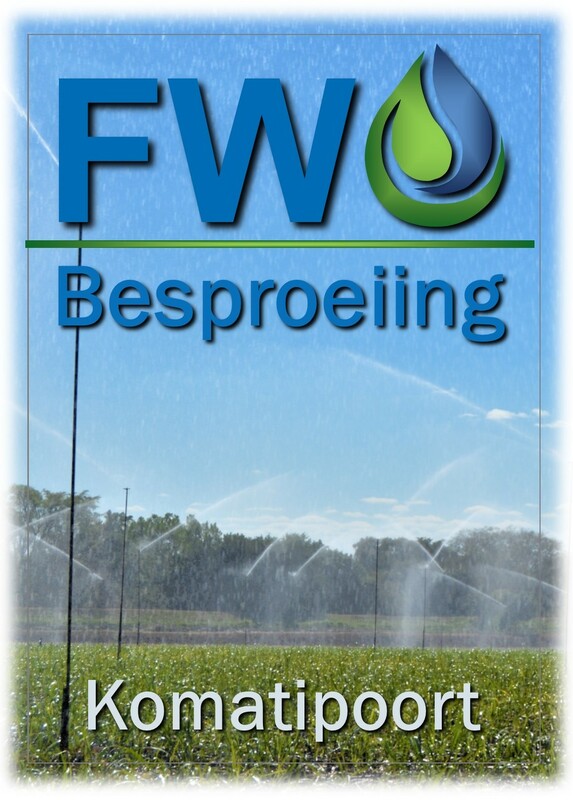 FW Irrigation, in Komatipoort, does the planning and supply of other irrigation equipment. The farmers themselves do all the installations. Both of these activities are currently handled by a contractor. The management feels that, with the high turnover of cutting staff, the seasonality of the task, the challenge of transporting them (when your farms are this vast), many headaches can be avoided by tasking local contractors with these activities. That means that most of the employees at Lourens Agri are irrigation specialists who move between the various crops as the needs arise. All cane is burnt and I was fortunate to experience a fire while I was visiting. This was a first for me and was terrifying and exhilarating all at the same time. I particularily enjoyed the “rainbow truck” (my name for it – no self-respecting South African farmer would be able to come up with a name that lame ) that dampened the neighbouring fields. I hope you can all see the rainbow? 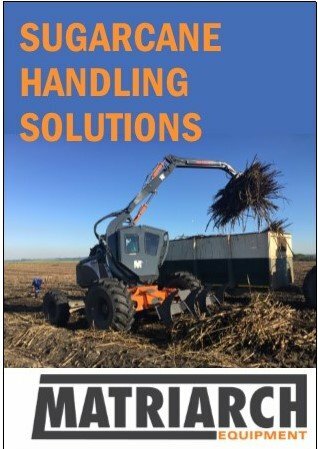 The cutters lie the cane in windrows, but the equipment used to load the trucks in-field is different to what we’re used to in KZN. Here, excavators are used. The benefit is that the equipment does not travel over ratoons at all. All fields are ripped (to loosen the soil) where the excavators drove, which is only every 6th or so row, depending on the reach of the boom. And from really big tools to comparatively small ones; here is a foot-powered knife sharpener. The first I have ever seen. A highly effective, yet simple contraption. So, what real advice does Gerhard have in the harvesting department? “Cut as short as possible. Load as quick as possible.” The Komati mill is currently struggling with the size of the crop and is about 2 weeks behind schedule. This large crop should be good news but any delays mean that there could be carry-overs at the end of the year, which nobody wants. The situation also leaves very little leeway for breakdowns etc and everyone is under pressure to make sure they stick to the schedule. Gerhard also recommends that the cane is very dry when you burn, with no dew residue. Any moisture results in some trash not burning away, which affects your fibre content at the mill. 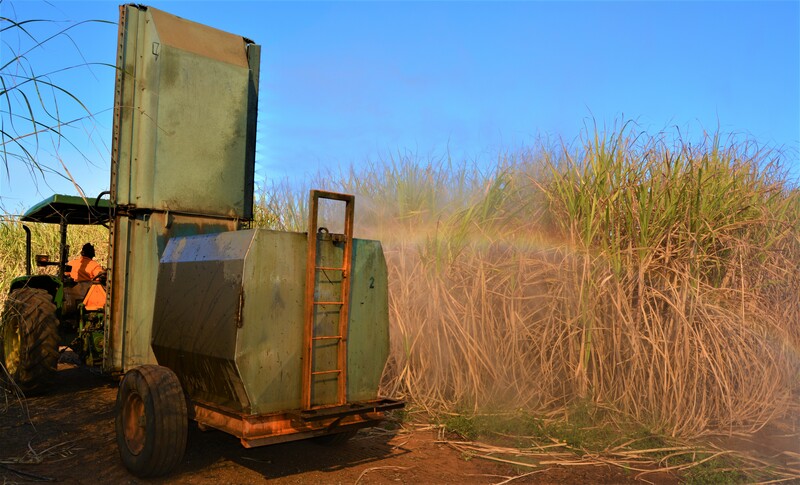 All unflowering cane is ripened to help with this drying out process – Fusilade or Volley is used, the application and cost is subsidised by the mill. 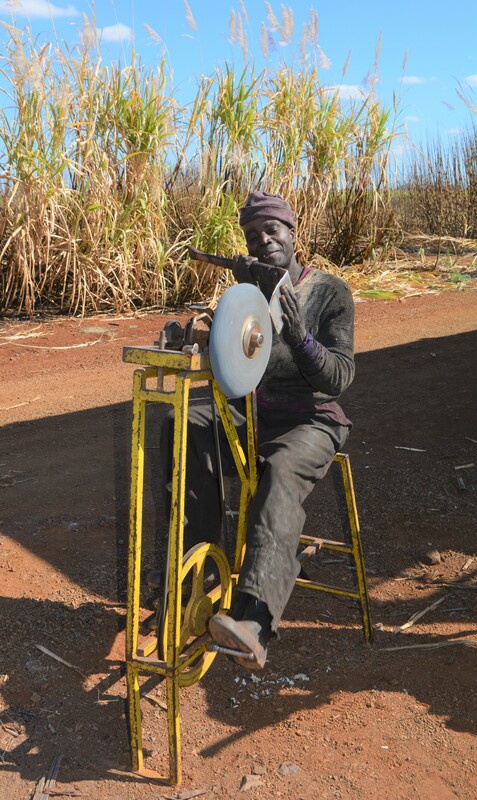 Gerhard dries the cane for 4 weeks prior to harvest. There was a lot flowering cane during my visit. Apparently, this is common in N14, N36 and N23 when there have been 3 weeks of sub-12.5 hours daylight, night time temps of over 18’C and adequate soil moisture during March, which is when the flowers initiate. It indicates a stage of maturity that negates the need for ripeners. Another major difference between KZN and Mpumalanga is the way the mills are set up to receive the cane; in KZN, our trailers are equipped with spiller chains but here, tip trailers are used. This means that there is more siding to the trailers and therefore less spillage en route to the mill. Maintain good community relations. Tension and stress achieves little whilst working together with everyone around you can remove boundaries and create opportunities. This is what has happened through the Lourens’ reaction to the Land Claim process; they now lease back some of the land they used to own and work well with the new owners. Give your best. Set high standards and maintain them consistently. Don’t be scared to tackle major projects. Farming has become too expensive to be left behind. Smaller operations are much harder to survive off. If you believe in something, commit your everything to it. Accept that the decisions you make today were made with the best information available to you and don’t be scared of making a mistake. Things change and you’re not in control of that, just commit bravely. With that valuable inspiration, I rolled out of Lourens Agri, still gaping at the sheer scale of everything around me. Sincere thanks to Jan, Gerhard and Jannes for allowing me into your operation, selflessly giving up time and knowledge.